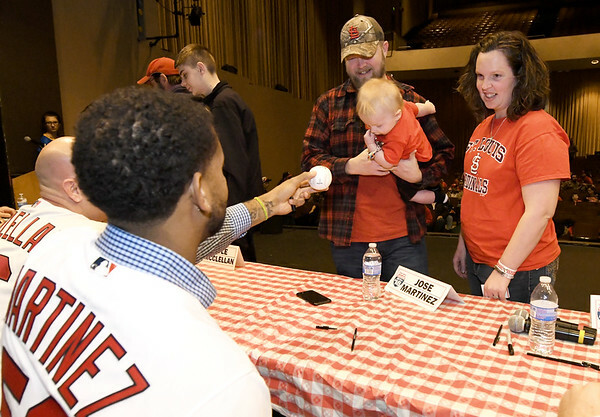 Nine-month-old lifelong Cardinals fan Gunner Neher, of Oronogo, gets a baseball signed by Cardinals first baseman José Martinez during a Cardinals Caravan stop on Saturday at Missouri Southern. Gunner attended his first Cardinals game when he was three weeks old. Joining him are his father, Jeremy Neher and mother, Vanessa Neher.